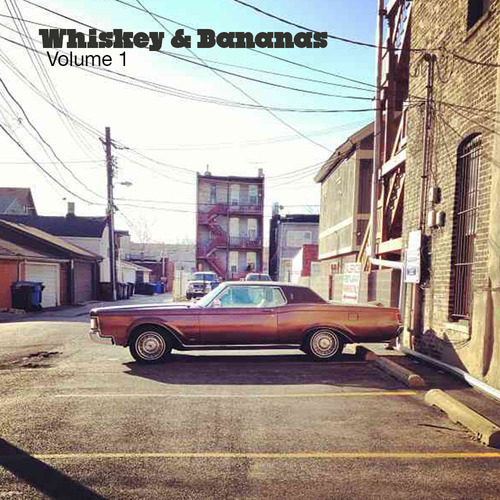 Today, we officially launch our first Whiskey & Bananas playlist, with the plan that this will be a regular offering from OKRP. It’s impossible to express the importance of music to our agency—other than to say it’s up there with life and liberty, itself. This playlist doesn’t carry any heavy message or hidden meaning – it’s just a bunch of songs we picked because we felt they captured our Whiskey & Bananas vibe, for various reasons. Here’s a run down of the list, we hope you’ll find these tunes worth the 37 minutes it takes to listen. We recently came upon this one while doing research on Chicago’s famed Chess Records label. Etta’s most famous song is the soulful ballad, “At Last”, but this track proves she could also belt it with the best of them. We added this track from French duo, Daft Punk (featuring Pharrell on vocals and Chic guitarist, Nile Rodgers) to our playlist, and today it’s number 2 on iTunes singles chart. Coincidence? We think not. Because they’re still teenagers, because they’re the unofficial official band of OKRP – and because they rock. And any hint of nepotism is purely, one-hundred-percent intentional. This song is called “Elephant” because it’s about as big and heavy as it gets. From the Summer of ’89, old school, feel-good rap and a wicked Steely Dan sample, all in one. What else could you ask for? Recently discovering the late great Gabor Szabo – and especially this hypnotic, soulful track – was like receiving a gift. A gift from the Hungarian jazz guitarist Gods. From the duo that brought you “These Boots Are Made For Walking” this one is over-the-top on so many levels, we just had to include it here. “I said ooh girl – you shock me like an electric eel.” Nuff said. We asked ourselves what this playlist was missing, and realized it’s a Donna Summer cover that sounds like something you’d hear on the Lido Deck of the Love Boat. Another discovery from Old School Chicago—this 1970 track is pure funk, soul, and rock badass. Curtis Mayfield on the boards and Baby Huey (who died after recording this at age 26) singing for his life.